The home page opens with a video loop that reflects the history, pride and landscapes that encompass the Tigua way of life. The main navigation guides users through various facets of the Pueblo including government, tribal services, enterprises, tourism and events. Quick links to events and news articles are available as the user scrolls down the page. Visitors that are new to the Pueblo can learn more by navigating to About Us, Tourism & Hospitality, or Events for upcoming activities that are open to the public. The About Us page includes an overview of the Pueblo, images, related links, and an interactive map of the community. The Tourism & Hospitality section provides information on the cultural and experiential attractions the Pueblo has to offer. Job seekers can view and fill out online applications as positions become available. Submitted applications are automatically stored in the content management system for easy export and follow up from the Human Resources department. Tribal Members have the ability to register or log in with a secure username and password to access secure documents and other resources via the Member Login area. 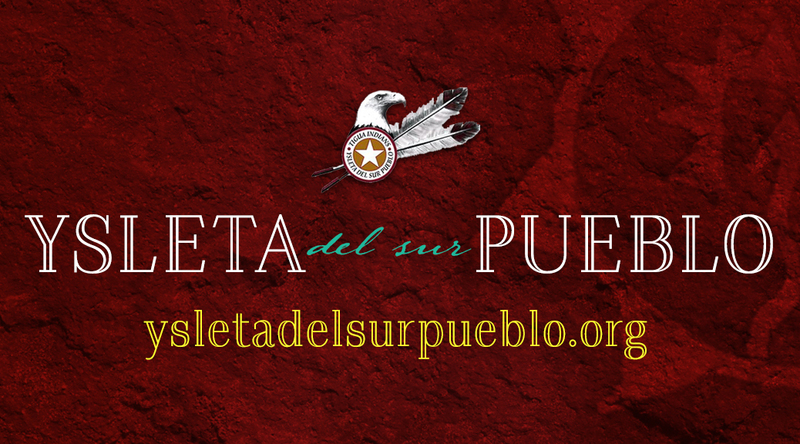 The Ysleta del Sur Pueblo website celebrates the tribe with visually stimulating images while simultaneously meeting the needs of each visitor. We look forward to upcoming events, beautiful imagery and educational content they will continue to add to their website. If you haven’t been to the Tigua Cultural Center, the Ysleta Mission, Hueco Tanks, Chilicote Ranch or the Tigua Trails, we invite to you explore this community and all it has to offer!